Search Engine Optimization is the process of positioning a company's website as high as possible in the Google, Yahoo and Bing rankings, for terms that are most likely to bring the company good quality business leads. Google keeps its algorithm a secret, in order to stop cowboy SEO companies 'gaming' the system, instead of focussing on good user experiences. However, the things you need to do to get good rankings are widely known and accepted. Many SEO cowboys claim to know secrets to getting good rankings, but there is no magic button, and not even Google can guarantee specific placements. So wild claims that seem to good to be true should be filed in the same place as any other spam or con artists. Those of us that are immersed in the world of websites and SEO know that there are no magic secrets to success - just like anything else it's a balance of skill, experience, understanding of the concepts, keeping up to date with new developments - but mostly just a lot of hard work. Why use Sentiva SEO services? Of course, anyone can learn SEO, just like anyone can learn to be a plumber or fly a plane. But just like those other professions, it takes a lot of time and dedication. Those who think dabbling a bit in SEO will be easy are mistaken. We have over five years' experience optimizing websites for Google, Yahoo and Bing, and have managed to gain the skills and experience to ensure we focus our energy in the right place to get the best results most efficiently. This is just a tiny sample of the results we've achieved, in fact all of our websites appear in position #1 or at least on the front page for relevant terms that their customers will be searching on. What makes Sentiva SEO smarter? As well as doing all the usual SEO work, we carry out a Keyword Analysis to ensure money and time are being well spent. This involves analysing the data associated with various search terms and working out a Keyword Efficiency Indicator. In this way we can target terms that you might not expect people to use, but in fact they are, and also focus on terms that are not being targetted by huge numbers of companies. For example, say you've ten hours to spend optimizing for a term - which of these terms do you think has the most searches? Now, with that information, how do you think you'll spend your ten hours? This is just the tip of the iceberg, and we also look at synonyms, misspellings, location based terms, phrase strings and competitor volumes. And that's why Sentiva SEO is smarter. Convinced we know our onions? We offer Search Engine Optimization services for existing websites, as well as carrying our SEO as standard on all the websites we build. Prices depend on required results and how competitive the industry is online. 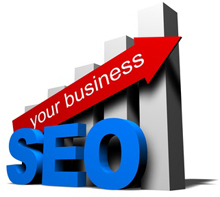 Get in touch for a Search Engine Optimization Quote. Great explanation of the basics of SEO. Thanks for sharing.